I was contacted after Wizard World Toronto about doing a custom order. I had sold Angie a tote bag and throw pillow at Wizard World. 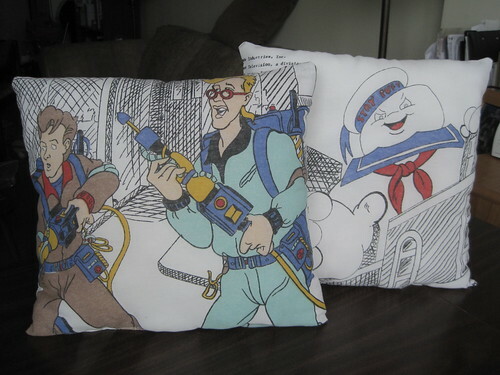 She had a couple of vintage sheets, Strawberry Shortcake and Ghostbusters, that she wanted turned into accessories and pillows. 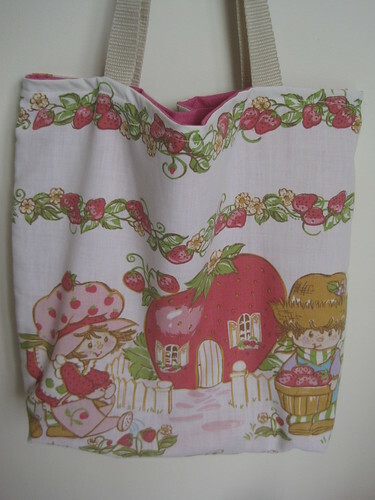 I made a tote bag out of the adorable Strawberry Shortcake sheet that she had. 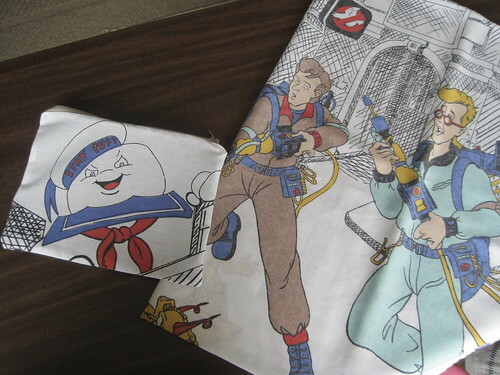 I also cut up the Ghostbusters sheet to make a pillowcase, zipper pouch, and a couple of throw pillows. I was very happy with how everything turned out and Angie was too! I love doing custom orders for people. It's such a great feeling knowing that I'm able to make some thing that someone wants. I hope everyone is having a great week and happy fourth of July to all my American readers! We have ghostbuster pillowcases on our bed that we picked up a few years ago from FanExpo...which I just figured out was from you as I also have one of your octopus mustache totes. That's so awesome! Will you be at Fan Expo this year? It's coming up so soon!